UNITED NATIONS, Mar 3 2014 (IPS) - Budget constraints in Washington and obstinacy at the highest levels of the African Union (AU) have combined to dangerously delay a possible U.N. peacekeeping mission in the Central African Republic (CAR), according to sources close to negotiations currently underway in New York. U.N. Secretary-General Ban Ki Moon was set to deliver his report on CAR to the Security Council this past Friday. But the document, believed to contain a damning portrayal of ethnic cleansing and atrocities as well as a recommendation for an official mission, was held up at the last moment and delayed to this week, raising fears that its language could be toned down to accommodate the reservations of the U.S., AU and others. Whatever the immediate outcome, the struggle illustrates an evolving and at times tense relationship between the Security Council, a more assertive AU and the U.N. over interventions on the continent. “The reality is that a U.N. mission is absolutely essential to stabilising CAR, and the secretary-general’s reporting is spot-on as to the desperate situation on the ground,” said a high-ranking human rights officer in Bangui who spoke with IPS on the condition of anonymity. But there is hope that this time Ban will not wilt in the face of pressure. In December, with violence ratcheting up, the Security Council, after initially considering a French proposal for a full mission, chose instead to mandate and enlarge the existing AU mission in the country – thereafter called MISCA – and authorise the deployment of French “Sangari” troops, currently numbering 2,000. The move saved hundreds of millions of dollars in the short term, but has proved a stop-gap measure. Underpinning the tension between the AU and the U.N. is a push by the Africans and international partners to encouraged “African solutions to African Problems,” in this case, letting MISCA handle its mandate without calling in the U.N.
“We agree with the principle of African solutions to African problems, but it should not come at the expense of African lives,” said Philippe Bolopion, U.N. director of Human Rights Watch. In April, 700 EU troops are set to spell French troops stationed the Bangui airport, allowing the Sangaris to travel out into more rural areas where the peacekeeping presence is thin and small bands of lightly armed Christian anti-balaka militias can wipe out entire villages. In an interview with African Arguments, Amnesty International’s senior investigator Donatella Rovera said neither the French nor AU forces, by now numbering 6,000, have been effective. The small U.N. political mission already in place, BINUCA, is grossly underfunded and ineffective at fulfilling its basic mandate. At the time of the December vote, observers expressed concern to IPS that without a bona fide, well-funded intervention, though violence might be temporarily snuffed out, the inequities and development shortfalls that led to the crisis would kicked down the road. At the time, logistical concerns were also raised: where would an already overextended Department for Peacekeeping Operations (DPKO) raise troops? Money was an issue as well: in the U.S., which funds over one-quarter of peacekeeping operations, Congress would soon set a 2014 budget that left a 12-percent funding gap in their dues and allocates exactly zero to a recently announced mission in Mali. How could they afford another venture in CAR? Yet later that month, the Security Council saw fit to increase the number of peacekeepers in an already in-place mission in South Sudan. Many wondered if CAR was being shortchanged. U.S. ambassador to the U.N. Samantha Power, who has publicly pleaded the case of CAR before the Council, was put in an awkward position by budget considerations. In a workaround, the U.S. provided 100 million dollars of direct assistance to a trust fund set up for MISCA, thereby making themselves investors in their success alone. But MISCA is in many ways a poster child for AU stubbornness. “It is important to remember that the MISCA mission has been around in various forms since 1996, so this is a country where many of the officers have been posted often. 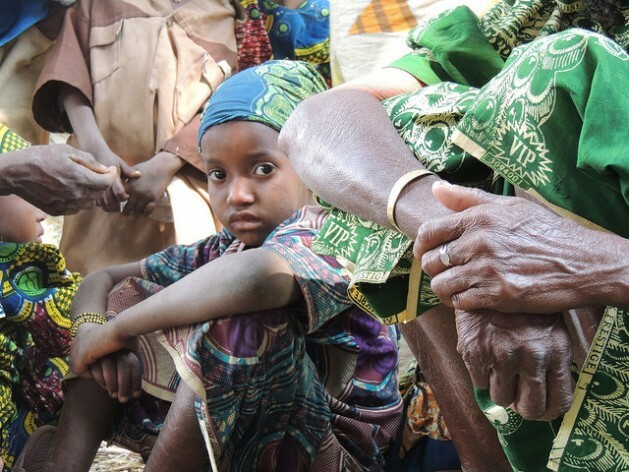 Many even learned [the local language] Sango,” said the human rights official in Bangui. 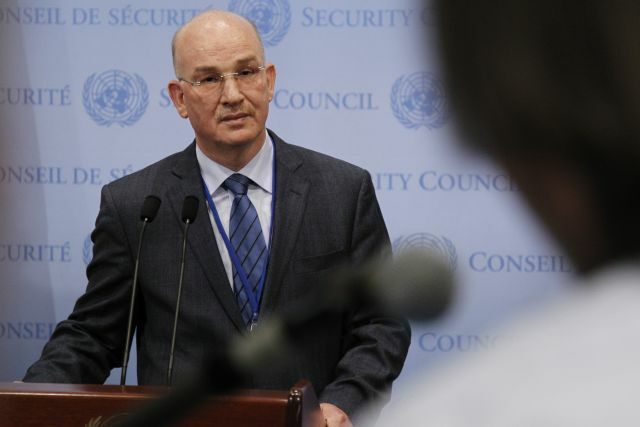 In December, the AU’s envoy to the U.N., Smaïl Chergui, brushed aside accusations that Chadian MISCA troops had repeatedly attacked civilians in CAR. But last week, Chadian troops were again charged by locals with killing three civilians in a Christian neighborhood of Bangui. Yet in February, the U.N.’s refugee agency and the human rights group Amnesty International identified rampant ethnic cleansing against the country’s Muslim minority. After an initial bout of violence committed by predominantly Muslim Seleka rebels left a thousand dead in December, the French Sangaris set about disarming and arrested the group, who had held power in Bangui since taking the city in March. At the time, observers, including U.N. human rights chief Navi Pillay, expressed concern over the potential for revenge killings against Muslims in areas vacated by the Seleka. Those fears proved disastrously correct and peacekeepers proved no match for containing disparate but potent attacks by Christian anti-balaka militias. In Bangui, where upwards of 150,000 Muslims lived prior to the conflict, by some accounts fewer than 10,000 remain. Palm fronds hanging outside houses in formerly diverse neighbourhoods indicate where Christian families have seized a home deserted by their former neighbours, either murdered or attempted to flee, likely to Cameroon or Chad. At least 100,000 Muslims have left the country entirely and countless displaced persons have fled to the bush. In December, members of the Security Council explained their piecemeal solution to the violence in CAR by pointing to the six-month time frame for implementing a full U.N. mission. But three months later the same reasons are given for dampening hopes of a mission now. Though the French have publicly spoken in favour of an official mission, they remain in delicate negotiations with regional power-broker Chad over existing missions in Mali and their basing rights in the country. And they, like the AU, have reason to want the current mission to be seen as a success. President Francois Hollande, who visited Bangui Friday, wants to impress a sceptical populace after he made interventions in former colonies a cornerstone of his foreign policy. Earlier this month, out of sight of peacekeepers, 70 Muslims were killed over the course of two days in the southwest town of Guen, made to lie down on the ground then shot one by one.